Thanks for stopping by Andalusia Full Gospel Tabernacle. We hope that you visit with us today will be encouraging and uplifting. It is our desire at AFGT to preach the Gospel of Christ to the whole person, the whole family and the whole world. The purpose of every believer (at AFGT) is to love, obey and worship God, the Father in Spirit and Truth through the Lord Jesus Christ. Our mission is to evangelize through corporate and personal witness to teach obedience to God through discipleship. We invite you to come as you are. We hope you don't leave the same way you came. If you are ever in the Andalusia area, or you don't have a home church, come visit us and see what AFGT is about.Remember that you are always welcome at AFGT! As most of you know, Papa Lige loved his church and his church family with all of his heart. He was so excited about our upcoming renovation project and our “Take A Seat” Campaign. His knowledge, his wisdom, his craftsmanship, and his constant joy will be sorely missed so much during this renovation. 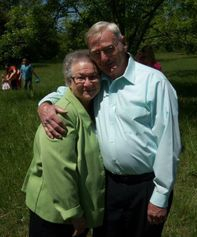 To honor his unwavering commitment to God and his church, The Perkins Family has requested, in lieu of flowers, that a donation be made, in memory of Papa Lige, to the “Take A Seat Campaign.” A donation can be made at our website, afgt.com, at our church office, or directly to Keahey Funeral Home. We offer our deepest sympathy to the Perkins family and ask that you join us in holding them up in prayer for Gods Comfort and Peace during this difficult time.Pops, we know you have entered into your eternal joy, where everyday is “your birthday.” We love you and we will see you on the other side! Please click the link below to make a donation to the Take a Seat Campaign in lieu of flowers for Pops.